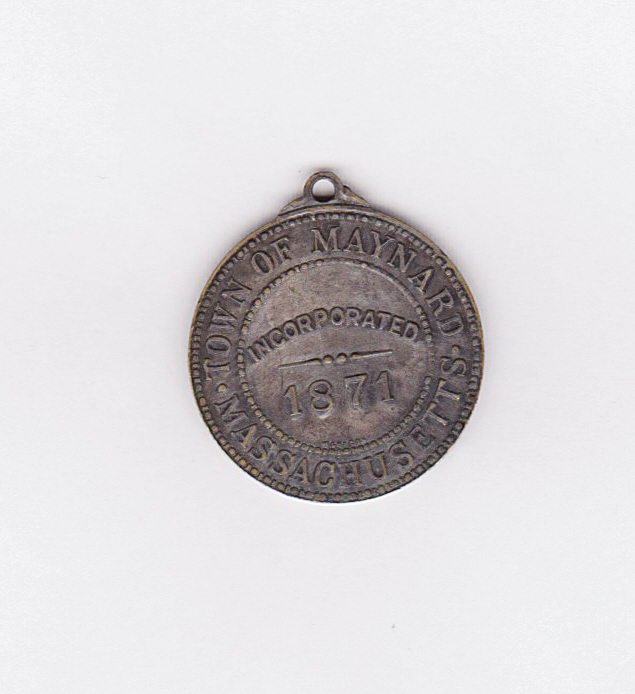 This medal was sold in connection with the celebration on October 12, 1916 when a large parade downtown to Rev. John A. Crowe Park was followed by a speaking program and a barbecue. The purpose of the celebration was to raise money for the Soldiers & Sailors Monument Fund. 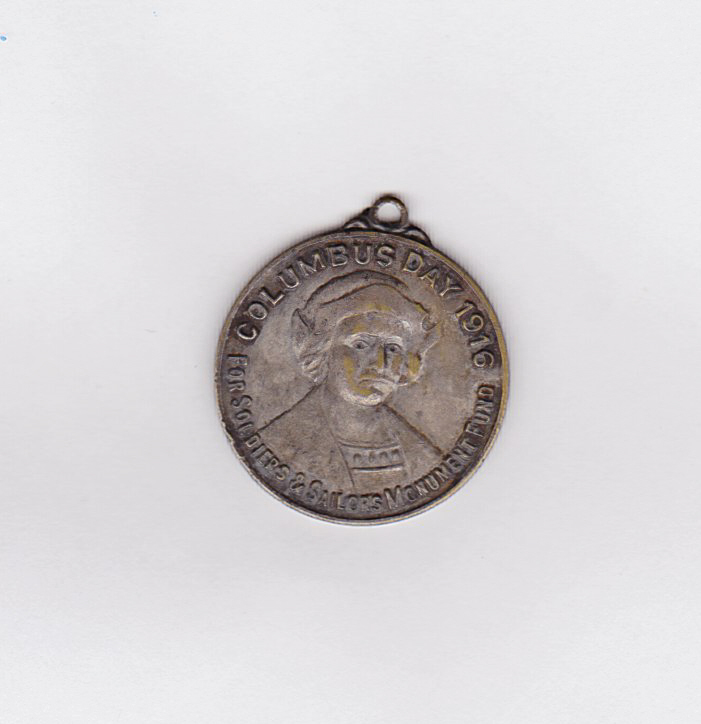 “Columbus Day Medal - 1916,” Maynard Historical Society Archives, accessed April 24, 2019, http://collection.maynardhistory.org/items/show/41.